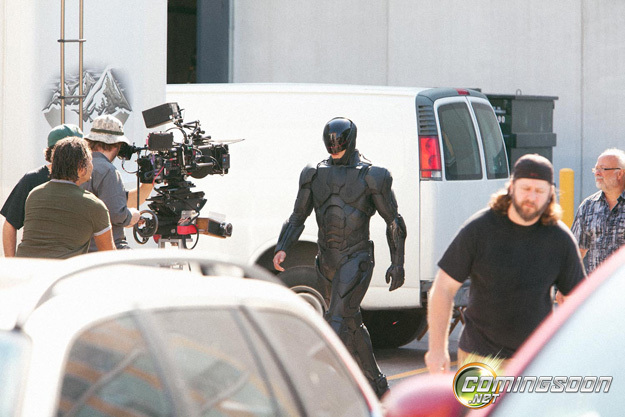 3-D Monster: First Look: New Banner and Suit For The RoboCop Revamp! 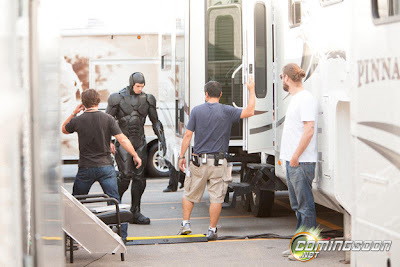 First Look: New Banner and Suit For The RoboCop Revamp! Robo-Cop holds a special place in my heart as it is the first and only time I have won something on the radio, when I won tickets to the premiere waaay back in 1987! I'm usually leery about remakes, but I really dig the look of the suit! Directed by Jose Padilha, the August 9, 2013 release co-stars Gary Oldman, Michael Keaton, and Samuel L. Jackson, as well as Abbie Cornish, Jackie Earle Haley, Michael K. Williams, Jay Baruchel, Jennifer Ehle, and Marianne Jean-Baptiste. From Metro-Goldwyn-Mayer Pictures and Columbia Pictures, the film was written by Josh Zetumer and Nick Schenk, based on the 1987 motion picture written by Edward Neumeier & Michael Miner. The film is produced by Marc Abraham and Eric Newman, with Bill Carraro serving as executive producer. WTF! Why? Way to be original Hollywood! I know, I know, but I'll always be happy to see more RoboCop!